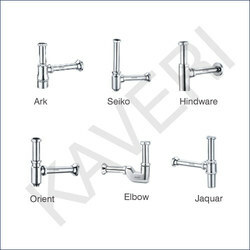 We are well-known manufacturer and exporter of an exclusive range of bathroom fittings and accessories that showcase a perfect blend of conventional and contemporary designs. Our collection is extensively used for residential purposes. We offer an elegant range of health faucets that are fitted with shut off valves and allow controlled and continuous flow of water. These are made up of brass and ABS raw materials. These are available in different sizes and shapes and are highly demanded in various sectors as important bathroom accessories. We make this product available in fine polish and finish that adds to the overall décor of the bathrooms. 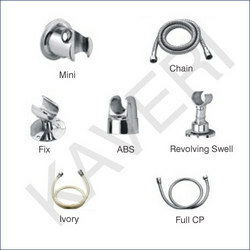 Our range of health faucets are packed with single piece as well as with hooks & shower tubes. We offer high quality Jet Spray which is used in exclusively used bathrooms. All these products are available in variety of shapes and sizes and are procured from authentic vendor bases. The jet spray facilitates uniform spray pattern and has impact for various spray angles that are required for various applications. The product also efficiently handles pressure fluctuations. 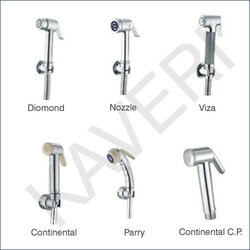 We offer a lucrative range of overhead showers to our customers that add luxury to their bathrooms. These match the ultra modern décor of the bathrooms and are quite easy to install. The handles of the shower are long and comfortable to hold. The slight bend of the shower facilitates an angle that is perfect for reaching all parts of the body. These are also tarnish, scratch and corrosion resistant. We offer excellent range of telephone shower that are voguish and temporary in design. These are quite ideal for both small bathrooms and bath tubs. The long handle of the telephonic shower offers easy grip and smooth water flow. The tube is attached to the telephonic shower that makes it all the more flexible. 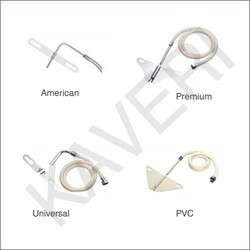 We offer a superb range of shower tubes and hooks that we procure from our authentic vendor base. These are available in various finishes, designs, colors and sizes to suit the ever changing bathroom requirements of the clients. We offer superior quality of bottle traps, which are an important bathroom accessory and enhances the décor of the bathrooms. These are available in varied sizes and shapes and are made available as per the requirements of the clients. 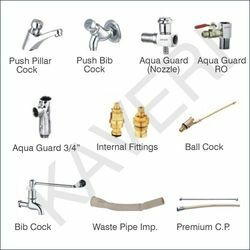 We offer superb quality waste coupling that is extensively used in bathroom, bathtubs and washbasin fittings, pharmaceutical and kitchen sinks. The waste couplings are offered as per the specifications of our clients. These are also available in various grades of steel and help in the disposal of waste water collected in the bathroom. 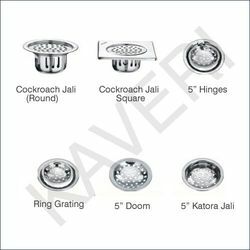 We offer a wide range of floor traps, which are designed to avoid the insects and cockroach to enter in kitchen and bathrooms. These are manufactured keeping in mind the customer's choice and to suit the best possible space in their bathroom. 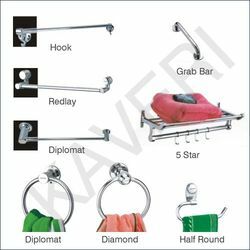 We offer a sophisticated range of bathroom hangers & towel rings that come in various designs and styles. The varied finishes such as shine and matte and their durability increase the overall demand for the product in the market. Our hangers & rings offers firm grip and help in easy and smooth water flow. 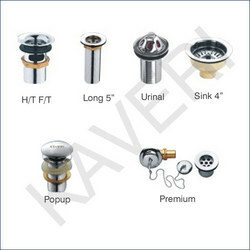 We offer a wide assortment of toilet soap holder, which are made of brass, steel raw material. 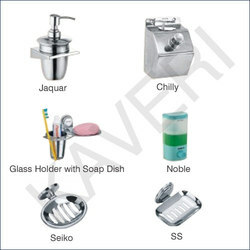 These are designed avoid the wastage of soap with cleanliness and hygiene in the bathroom area. 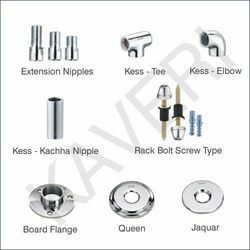 We offer a wide range of bath pipe fittings that are available in different dimensions and finishes. These essentials help in the proper passage of water and are made available as per the client’s specifications. 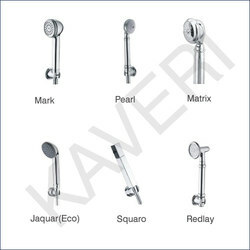 We offer a wide assortment of bathroom accessories as per the specific requirements of our clients. The accessories are elegant in style and give a classy appearance to the bathrooms. 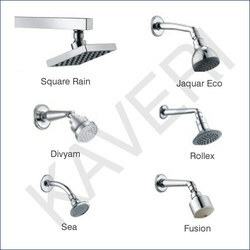 These are also offered in different alluring designs, shapes and size to suit the bathroom requirements of the clients. - Designed to avoid wastage of water.